EXTREMELY FINE GEM. 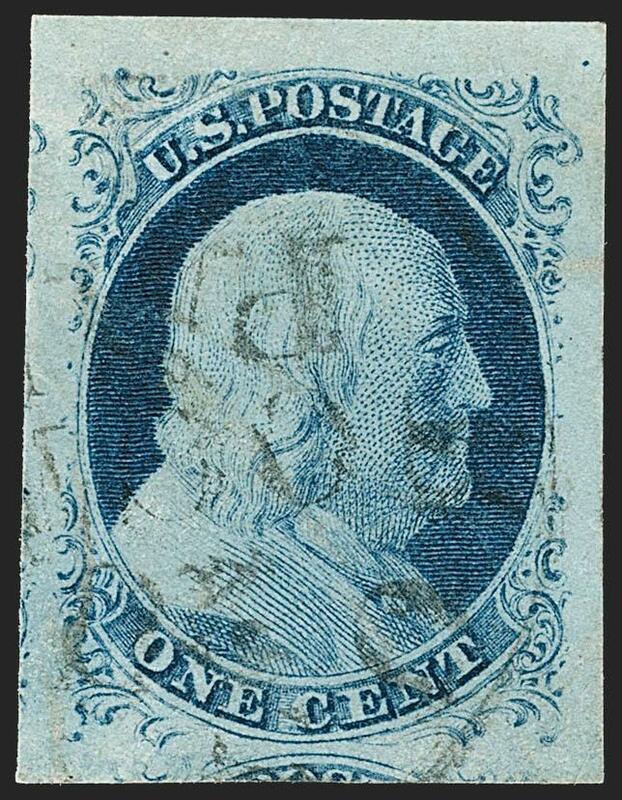 A SUPERB USED EXAMPLE OF THE 1851 IMPERFORATE ONE-CENT TYPE IIIa, GRADED SUPERB 98 BY P.S.E. Type IIIa is defined as having a break in outer lines at either top or bottom. 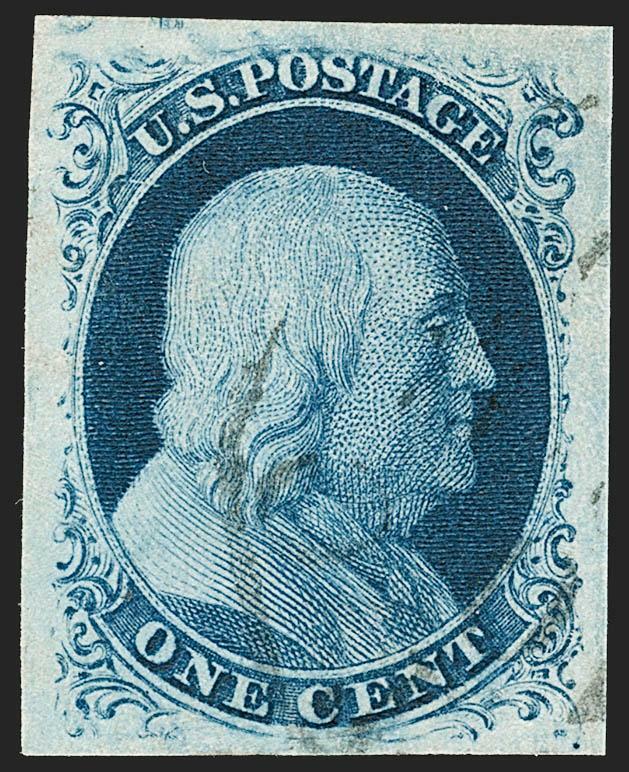 The stamp offered here, with huge top and bottom margins, is an outstanding example of the type as it clearly shows the bottom line complete and the top line with a wide break. EXTREMELY FINE GEM. 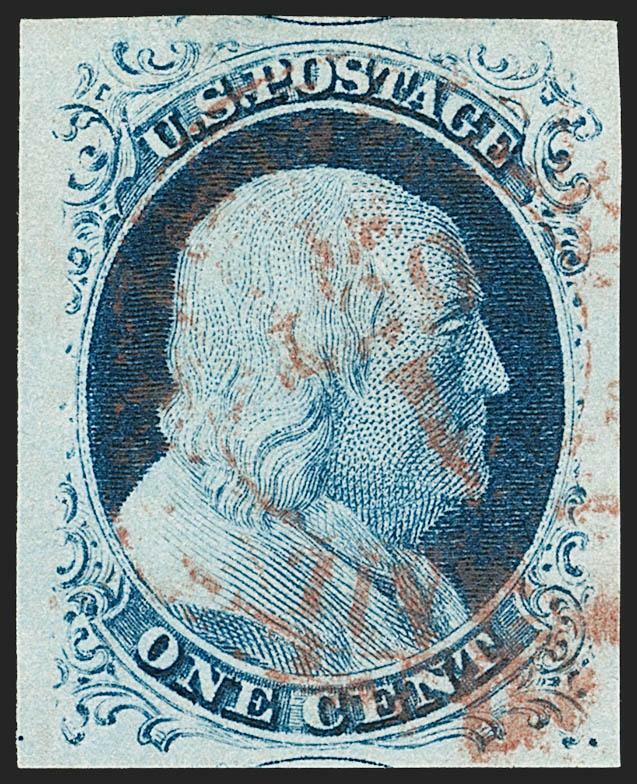 A SPECTACULAR LIGHTLY CANCELLED EXAMPLE OF THE 1851 ONE-CENT IMPERFORATE TYPE IIIa FROM PLATE 4. Type IIIa is defined as having a break in outer lines at either top or bottom. 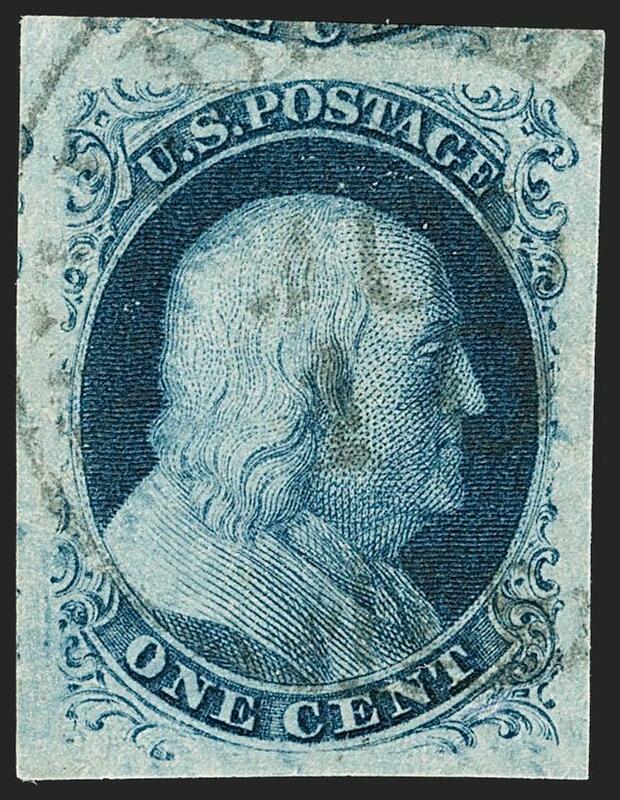 The stamp offered here, with a wide break at top and large margins is an outstanding example of the type. EXTREMELY FINE GEM. A SUPERB EXAMPLE OF THE ONE-CENT 1851 TYPE IV -- AWARDED THE PERFECT GRADE OF GEM 100 JUMBO BY P.S.E.